High-flying Valencia will be aiming to extend their winning run in La Liga to seven games when they welcome Leganes at their Estadio de Mestalla on Saturday afternoon. Los Che have been impressive in front of goal of late and, no doubt, they are high on confidence ahead of Saturday’s football match against Leganes. Valencia coach Marcelino is obviously the right man for the job and his men totally deserve to sit in second place in the La Liga standings. 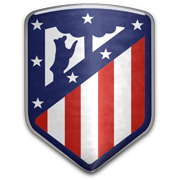 The capital club, on the other hand, have been in a fine form in the first half of the season as well, but they suffered a 2-1 loss to Sevilla at Estadio Ramon Sanchez Pizjuan in their last league fixture. Valencia are eyeing their fourth consecutive win at home in the Spanish top flight and we predict that they will give fans yet another reason for celebration this weekend.